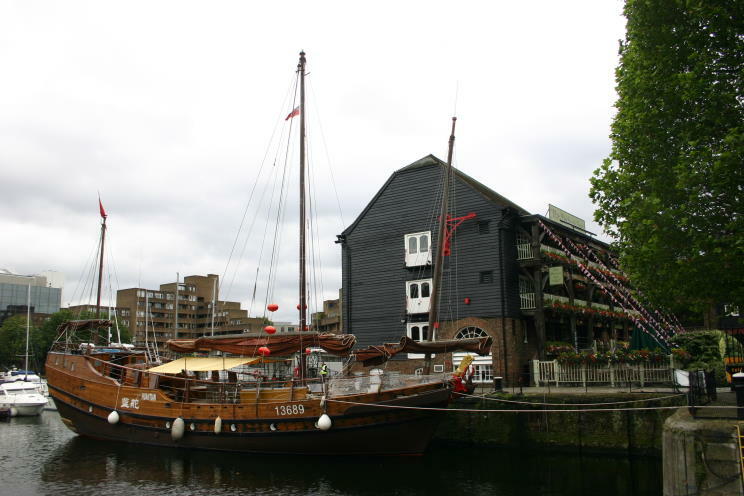 July 18, 2012: Huantian seen at St. Catherine's Dock, London, England during the 2012 Summer Olympics. 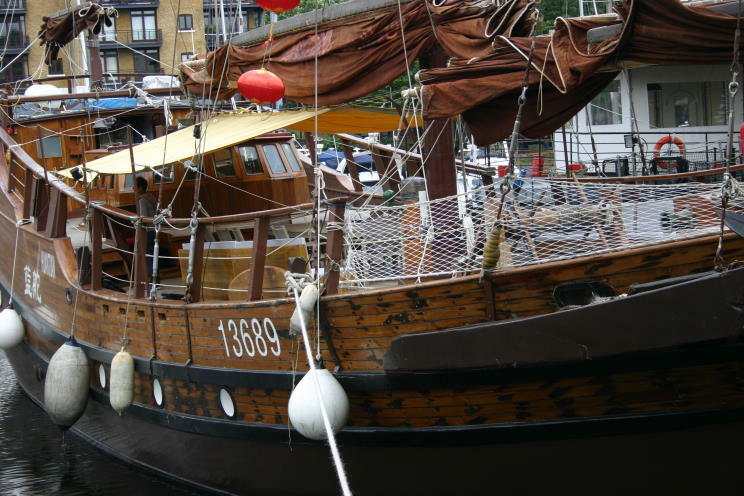 Huantian is a typical Hong Kong Chinese trading junk that have been sailing the seas in this design for thousands of years. 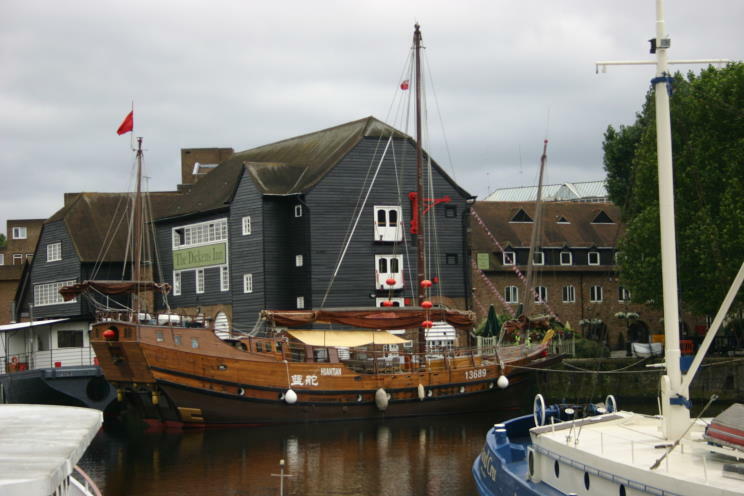 She is only the second vessel of this type to ever have visited Britain the last was in 1851. She was built in 1973 draft of 3.9m and a height of 28m. Her sails are 360 directional which enable her to sail in any direction! Her history is quite interesting. She started out life as a routine coaster, but was acquired by the Hong Kong Jockey club to provide and encourage youngsters learning about traditional Chinese sailing history and experience the realities. 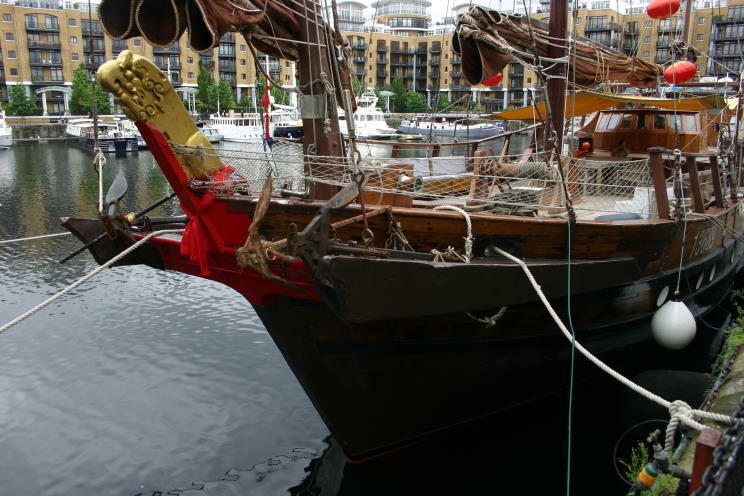 She was subsequently used for public relations, tourism and entertainment around Hong Kong. 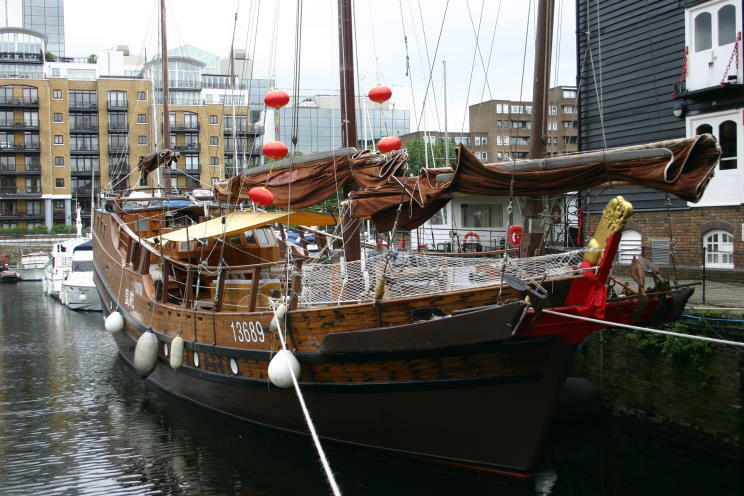 A couple of years ago she was purchased and refurbished by VSV (CHINA) Yacht Ltd. to enable her to be part of the Queen's Jubilee pageant and the Olympic celebrations etc. The prime mover for this was Hua Shan and his British wife Sarah Noble the parents of Hua Tian the Chinese Olympic Equestrian. 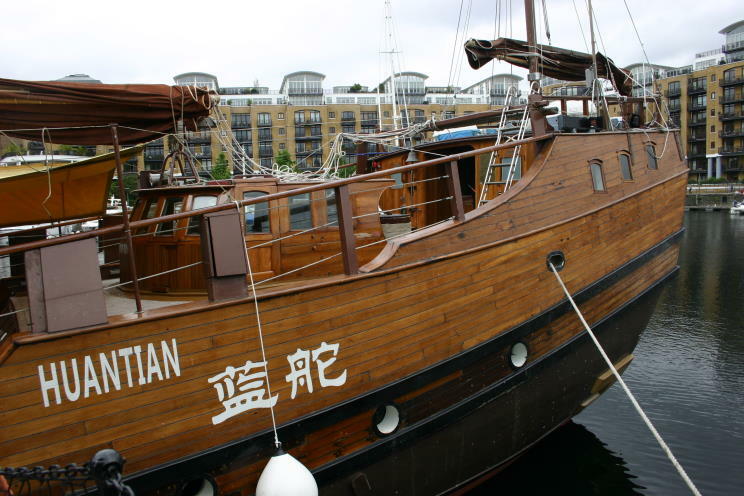 July 18, 2012: Huantian seen at St. Catherine's Dock, London, England.